Davis was born in Washington, D.C., and studied at Howard University, which he left in 1898 to serve as a lieutenant of volunteers in the Spanish-American War. After the war, he reenlisted in the regular army as a private, rising through the ranks to become in 1940 the segregated U.S. Army’s first African-American general. 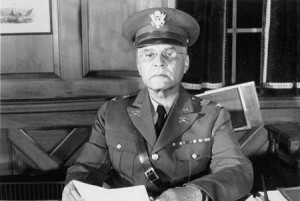 After World War II, he served as assistant inspector general of the army until his retirement in 1948. His son, Benjamin Oliver Davis Jr., became the first black general in the U.S. Air Force.